For the next 28 days I will be turning to a vegetarian diet to help myself become a healthier and ‘feel better’ me – I’ve called this my 28 Days Crave Veggies Challenge. Before the challenge, I had been feeling sluggish and thought this challenge would be just the boost my body needed, I was also concerned that too many of my meals, whether it was eating out or at home, revolved around meat and I wanted to find out was meat really necessary? This challenge (I hope) will be a fantastic food experience of discovering new satisfying (new) meals packed with vegetables, whole grains and more. I’ve kicked the ‘habit’ of eating meat and giving the veggies a chance to take centre stage for a whole month – wish me luck! 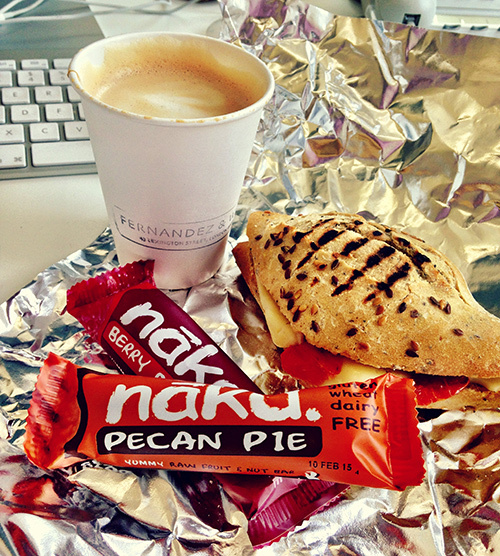 Vegetarianism kicked off the morning with the best of 3 London worlds; cuppa Fernandez & Wells Coffee, a Vital Ingredient meat-free breakfast roll & bought some nakd raw food bars. 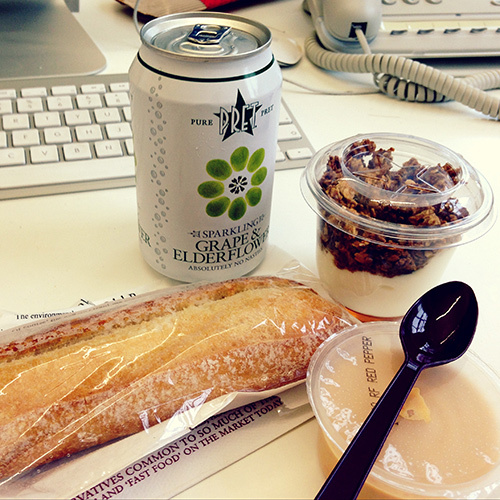 A lunchtime run to Pret for a quick ‘pick me up’ drink and snacks. 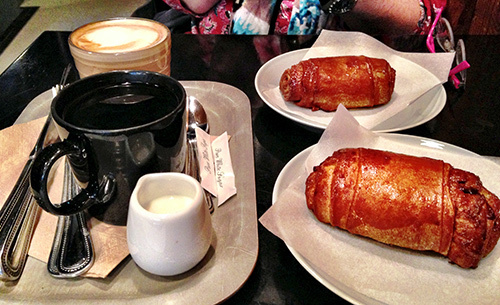 Lovely @PinkLittleBean’s mum (Jane) also nipped down to London and it was great to catch up over coffee and Nordic cinnamon rolls. Delicious! 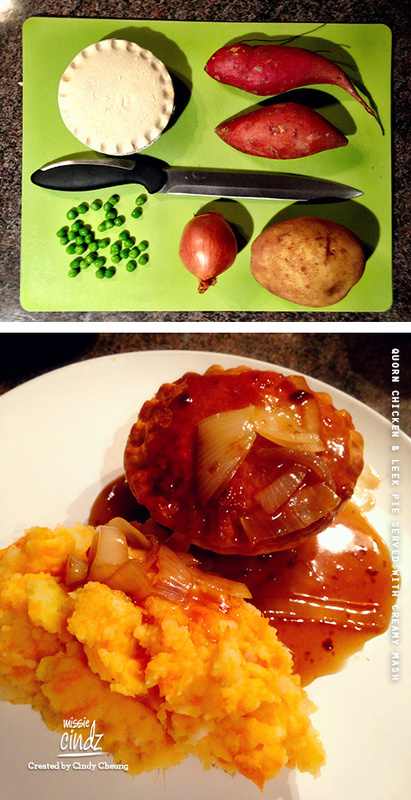 Dinner this evening included a delicious Quorn Chicken & Leek pie served with creamy (combo) potato & sweet potato mash and onion gravy. This tasted delicious, and mashed sweet potatoes made the perfect side dish. Versatile and a great source of protein, quorn is a blank canvas and proves that there’s no need for meat when it comes to cooking.